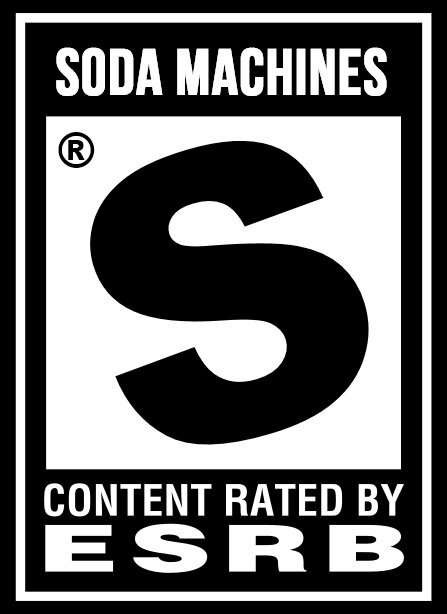 This is one I’ve been hoping to catalog for several months now. 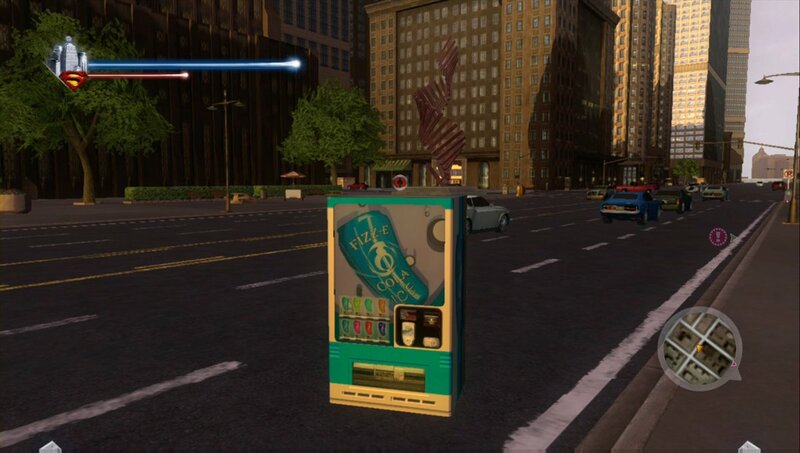 There’s a cheat code in the Xbox 360 version of Superman Returns that replaces the Man of Steel’s character model with a Fizz-E Cola machine. 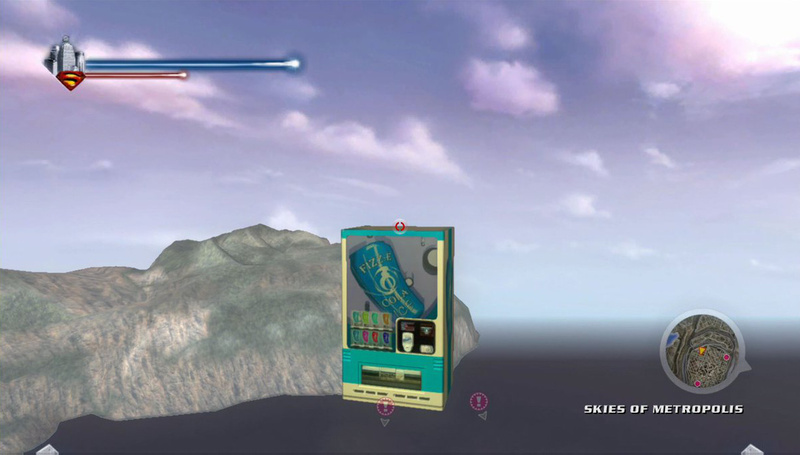 That’s right; you can fly around Metropolis fighting crime as a super-powered soda machine! Look! Up in the sky! 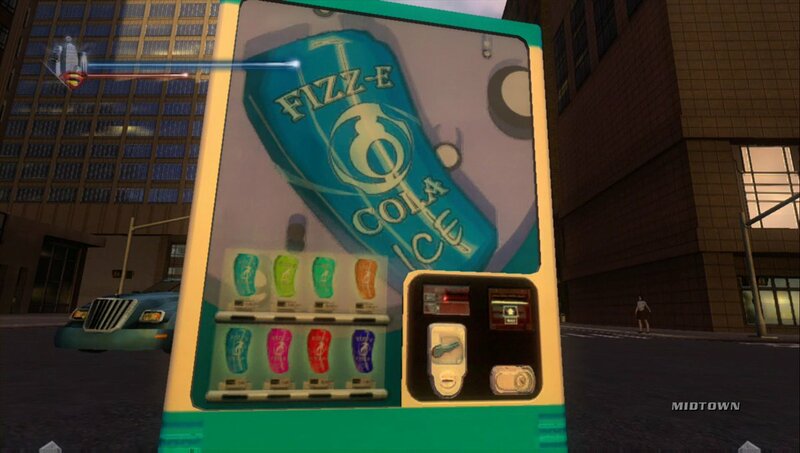 It’s a bird…it’s a plane…it’s Fizz-E-Cola Man! 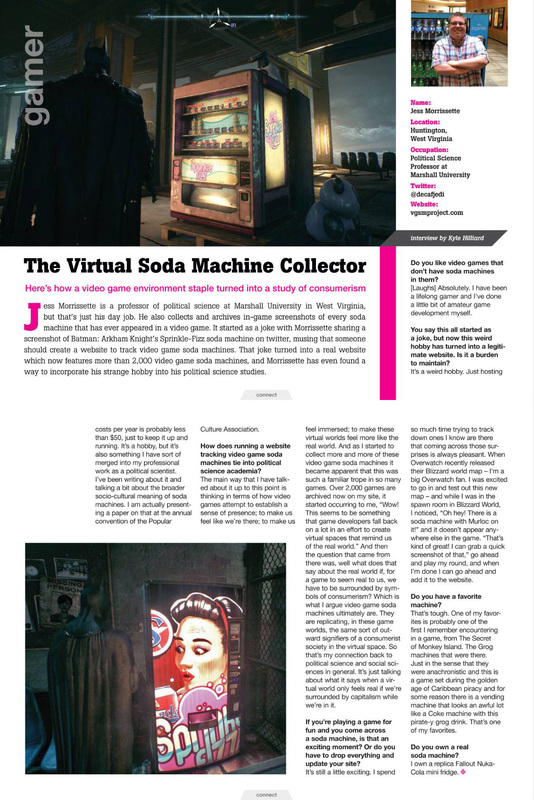 Here’s a closer look at Fizz-E Cola Man. 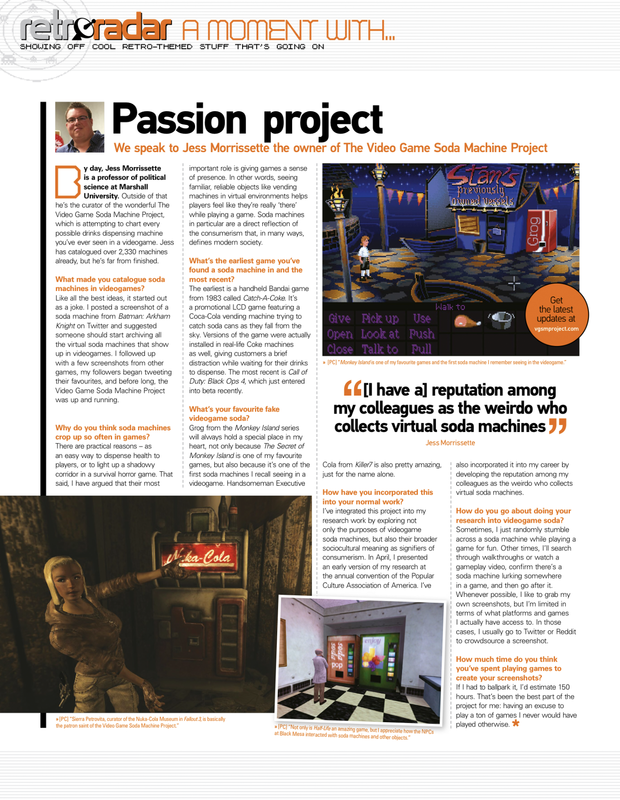 He’s not the hero the Video Game Soda Machine Project deserves, but he’s the one it needs right now. Thanks a million to Amayirot Akago—a superhero in his own right—for tracking down these screenshots!